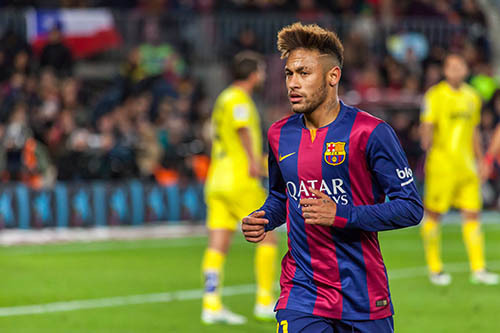 Why has Neymar moved to PSG for the world record transfer? Not exactly shocking news with the news breaking a week or so ago of Neymar’s growing frustrations of living in the shadow of Lionel Messi. Neymar now wants his chance to become the greatest player in the world. We personally don’t blame Neymar for wanting to be the best – That is what football is all about! Sky Sports have reported that the total value of the deal is worth nearly £450m (€500m), which includes wages, bonuses and a buyout clause of £198m (€222m). In addition, Neymar has been offered an astonishing basic salary of £26.8m-a-year (€30m) after tax, around £515,000-a-week. The astronomical transfer fee and wages will surely have people losing their minds across platforms such as Twitter. However, we don’t feel this transfer is all about the money. Why? 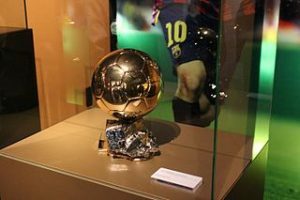 Because new PSG star Neymar has always been a very aspirational player and his ego won’t allow him to stay second-fiddle, perhaps third-fiddle to Messi and Suarez for any longer. Due to his confidence, he will now focus his energy on winning the Ballon d’Or. Paris or Rio De Janeiro? Yes, I know. PSG is in France but PSG has a locker room full of Brazilian magic that has probably been an important part of Neymar’s decision to leave the Catalan giants. PSG already has 4 Brazilians in the team, having recently signed up Neymar’s former Barcelona teammate, Dani Alves from Juventus. The two Brazilians are good friends and it’s no surprise that Neymar wants to link up with him again. In addition, PSG’s other three Brazilian stars consist of defenders Thiago Silva, Marquinhos, as well as Neymar’s very good friend Lucas Moura. With this in mind, the world record transfer and astronomical wages Neymar will receive look a lot less important. Phillipe Coutinho remains another Brazilian to be linked with PSG and Barcelona, however, we cannot see him going to PSG to be with his amigo, Neymar. This world record transfer fee may take some time to be broken. The only players we can see going for more money a the moment are Lionel Messi and Gareth Bale. Unless China steps in, of course.